The Open Data Handbook provides a guide to legal, social and technical aspects of open data. 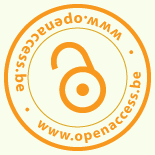 Because the organisation and use of data via data centres and data sharing is becoming more and more important for research, it is essential that not only publications but also research data be openly accessible. And since every publication in the field of empirical sciences is based on data, the Berlin Declaration on Open Access applies just as much to data as it does to publications. Since research data is becoming more and more extensive and complex, it is rarely completely presented in the publications themselves. Because of the added value it brings, Open Data is especially worthwhile and gives research completely new opportunities. Research data can be integrated in publications, documented indirectly, for example via links in publications, or made available in the form of independent data sets. As always, the Open Knowledge Foundation provides excellent guidance when it comes to defining the principles of open data. Check out their introduction and you’ll be up to speed in no time! For a set of practical guidelines on how to make data open, follow the Panton Principles, a set of recommendations about how to make scientific data ready for publication and available for re-use or check the resources of the DCC. Research results based on data can be verified and critically examined. Unnecessary duplication of research work can be avoided. Data can be analysed comprehensively and made use of, for example in follow-up projects. The research process can be accelerated through data sharing. New findings can be achieved by merging data from different sources. Data sets which are collaboratively assembled and jointly used are more cost efficient. The LEARN Project has several resources to help Research Performing Institutions manage their research data. The Panton Principles, a set of recommendations about how to make scientific data ready for publication and available for re-use.